Pizza is beloved by everyone, but most of us know that despite its great taste it’s not the healthiest food. 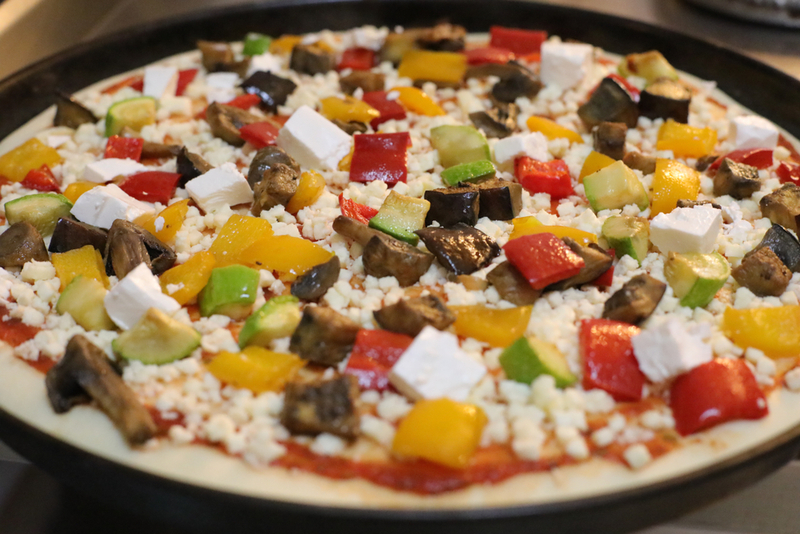 For those that prefer to stick to vegetables, today’s veggie pizza is a good alternative that can also work well during your New Year’s Eve celebrations. Here we go! Begin by preheating your oven to 400 degrees Fahrenheit. Use a baking tray capable of holding the two tortillas and line it with foil before placing it in the oven during the preheating. Using a large non-stick skillet over medium-high heat, heat the oil. Add the bell pepper, eggplant, zucchini and the onion to the oil. Sprinkle the pepper and salt along with the oregano on top for taste prior and then saute for about five minutes. Place the pair of tortillas on the foil-lined baking tray and then return it to the oven for another minute or so until they become golden and crisp. Take the tray out of the oven and spread the sauce you chose over the tortillas followed by the sauteed vegetables and then the shredded mozzarella cheese. Place the tray back in the oven for about five minutes or until the mozzarella has melted. In keeping with our focus on recipes that won’t take away too much time from your holiday preparations, today’s recipe is even more simple than the last one. In fact, you can make it in a toaster oven, it’s that easy! Though it’s meant for the summer, there is no reason why you can’t enjoy it during the wintertime. Without further ado, here is what you’ll need to make some summer berry tortilla tarts. Preheat your oven to 400 degrees. Use the butter to brush both sides of the tortillas and then follow by sprinkling them with the sugar. In a clockwise manner, fold over an inch section of the tortilla. 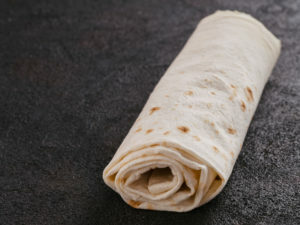 Dab your finger with water and then wet the top of each tortilla section with water so that each edge stays firmly down. Continue the folding to create an overlapping pattern. Press down the folds and then move them over with the top side down onto a sheet tray. Repeat the process for the other tortilla. Once that’s complete, poke a couple of holes into each tortilla with a fork to avoid bubbling. Cook the tortillas in your oven until they’re golden for about five to seven minutes before flipping them over and cooking for about five more minutes until they’re crispy. Remove the tarts from the oven and allow them to cool. 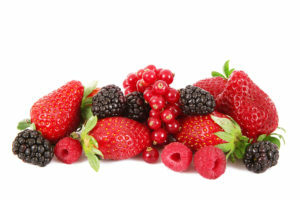 Using the folded side of the tart, spread the ricotta before topping it with berries. Drizzle some honey and then use the mint leaves for garnish. Between your holiday shopping, your job, your family, and other responsibilities, you also have to keep yourself fed. The holiday season makes it trickier to prepare large meals, but today’s spicy chicken tortilla roll-up recipe should simplify matters. You can have these tasty treats done and ready to serve in under thirty minutes. Let’s take a look at the ingredients. Begin by seasoning the chicken breast with half of the cumin, salt, and a teaspoon of the chili powder. Place the chicken in a large skillet and then add a cup of water before covering it and cooking on medium-high heat for about eight minutes or until it’s cooked through. If it’s necessary, feel free to add more water. Once the chicken is ready, place it on a plate or cutting board and allow it to cool slightly before shredding it with a pair of forks. Use a mixing bowl to combine the cream cheese, scallions, drained tomatoes, cilantro, cheese, garlic, and whatever spices you have left. Mix them well before adding the cooled chicken and stirring everything together. Lay out each tortilla and evenly distribute the mixture in the center of each one before spreading it to create a thin layer, leaving about a half-inch border around the edges of the tortilla. Roll up each one tightly, making sure not to fold the ends in. Use a knife to to cut into one-inch thick slices and move your roll-ups over to a serving platter. Refrigerate them until it’s time to serve. With the New Year’s festivities happening later this month, you may be thinking about some recipes to prepare for the big day. 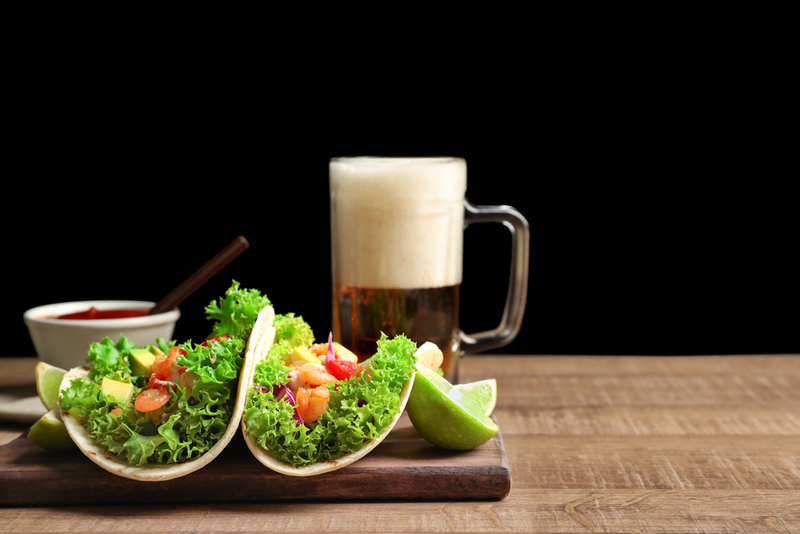 You can’t go wrong with tacos, and this Cholula and beer-braised pork tacos should satisfy everyone on your New Year’s guest list. Let’s begin! Three small onions. One of them diced and the other two minced. Using a slow cooker, preheat it on low for a minimum of twenty minutes. Make sure the pork shoulder is dry by patting it down with paper towels before seasoning it sufficiently with pepper and salt. Use a large skillet over medium-high heat to warm up the olive oil until it begins to shimmer. Add the pork shoulder and sear it for about five minutes on each side until it becomes golden. Once it’s ready, move it over the slow cooker. Over medium heat, add the lard to the skillet and allow it to melt before adding the garlic and the diced onion, cooking everything for five minutes until it’s soft. Add these ingredients to the slow cooker as well as the coriander, beer, cinnamon, Cholula, and the lime juice. Cover it up using the lid and then cook on low for twelve hours while you enjoy whatever beer is left. Grab a large skillet and place it over medium heat before adding half of the canola oil. Allow the tortillas to griddle for about thirty seconds on each side until they’re warm and toasty. As each tortilla is ready, place it in a resealable plastic bag so that it remains warm. 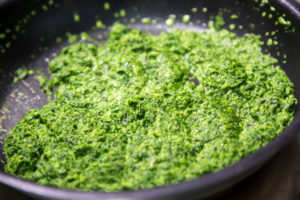 Once the braised pork is ready, serve it along with the tortillas, the salsa verde, minced onion, lime wedges, Cotija, Cholula, and whatever other toppings you like on your tacos. When you’re home from work, one of the last things you may want to do is to spend your downtime preparing a meal that will take hours. That’s why every so often we try to present recipes that’ll take you just a couple of minutes. Today’s chicken and spinach tortilla bake recipe will only take you about twenty minutes to cook. Here we go! Preheat your oven to 450 degrees. Use a large skillet over medium-high heat to heat the olive oil. Use the salt and pepper to season the chicken before adding it to the pan and cooking it, making sure to turn it over once so it’s entirely cooked. This process should take about five minutes or so. Once the chicken has cooled, shred it. 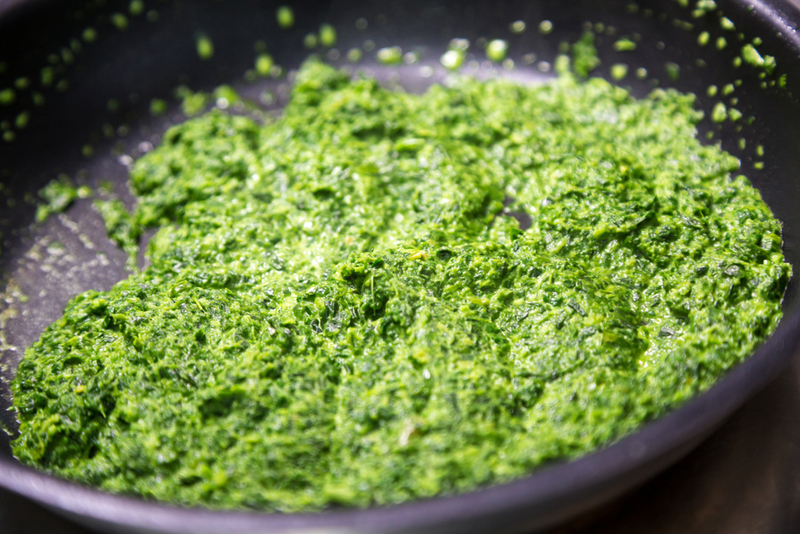 Whisk the ricotta and salsa verde together before seasoning it with the pepper and salt. Use a greased 9-inch square baking dish to layer a third of the mixture you just made along with the pepper jack cheese, tortillas, the spinach, chicken, and the onion, repeating the process twice. Bake until the layers become golden brown which should take about twenty minutes. Wait about ten minutes before serving.